Upgrading from a standard on/off switch to a dimmer? Here’s what you need to know before you make the switch! Dimmers are designed for a certain amount of Volts, amps, and/or Watts, which is referred to as a maximum load rating. This determines how many light bulbs or fixtures can be used on a single dimmer before it begins to overheat and potentially short out. While it seems simple to divide the maximum load rating by the number of Watts from each light bulb you have to consider the inrush current. When a device turns on such as a light fixture, there is a huge Voltage spike referred to as inrush current. This momentary Voltage spike can double or triple the amount of power sent to the light bulbs in order to initially turn them on. It is best practice to stay approximately 25% under the max load rating to avoid the risk of overheating or shorting out the dimmer. 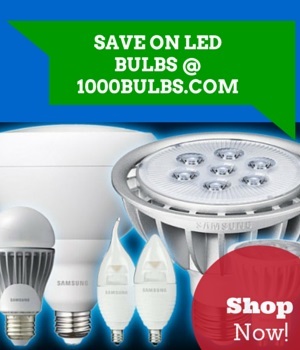 Upgrading to LED light bulbs? Since LED bulbs typically operate on low Voltage, they require a driver in order to step-down 120 Volts to approximately 12 or 24 Volts. If we were to use an incandescent rated dimmer with an LED bulb, the LED may mistakenly draw more current for a split second, since it is trying to maintain a continuous supply of power. This could result in either fusing of the dimer, the LED flickering, or not dimming at all. In some cases, the compatibility of the LED driver determines the extent of the bulbs capability to dim. Meaning the light bulb may only dim down to a certain percentage rather than the full 100%. A few common symptoms of an incompatibility between a dimmer and LED driver are listed below. Dead Travel: There is no visible change even when dimmer is in off position. Ghosting: The light is still visible when the dimmer is switched off. In order to avoid re-creating the flickering lights scene from your favorite scary movie, it is ideal to select a light source and dimmer which have been tested and confirmed to work with each other. That means checking the provided spec sheet or brochure documentation from the manufacturer. Keep in mind that once your dimming setup is complete, you should avoid plugging in different types of light bulbs to avoid conflicting circuitry. Feeling dim about dimmers? Don’t hesitate to contact our knowledgeable staff at 1-800-624-4488 Monday through Friday (7am CST to 7pm CST) for addition assistance. Feel free to post a comment or question in the section below or reach out to us through our social media pages via, Facebook, Twitter, Google+, LinkedIn, and Pinterest.